We celebrate that the video “Life and Hope: Rap on Climate Change“, which we developed together with this Adult Education Centre in December 2017, has been recognised by the Global Education Network Europe (GENE), as one of the 20 innovative initiatives in education across Europe, in its “Global Education Innovation Award 2018” (page 25). Since 2015 Amics de la Terra Mallorca has been carrying out a project on awareness and education to reduce climate change, our dependence on fossil fuels and the environmental and socio-economic impacts that this involves, both here and in those countries where fossil fuels are extracted. The project is mainly aimed at young students. 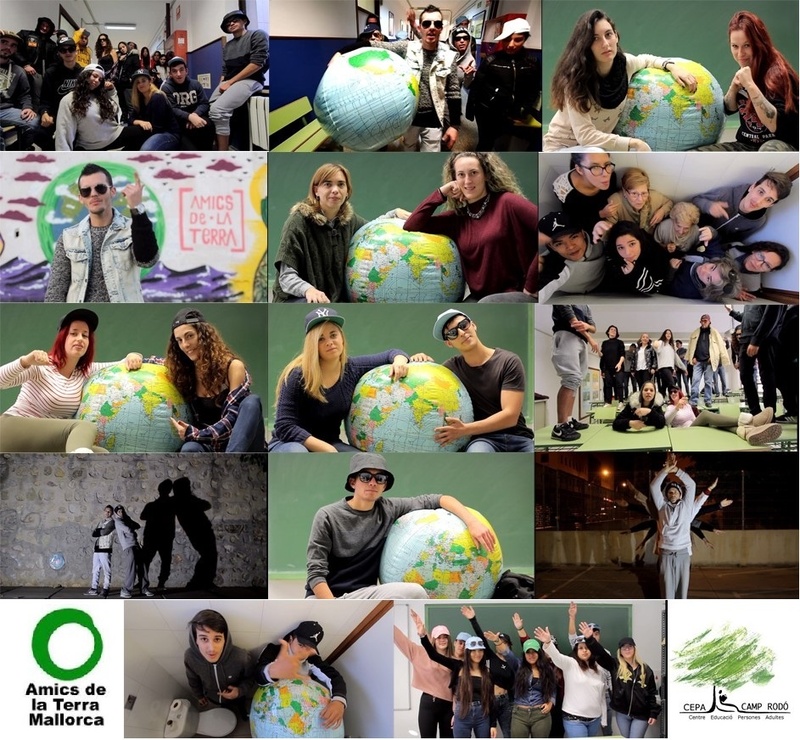 This project is carried out thanks to the support of the General Directorate for Cooperation of the Balearic Islands Government and the educational centres that participate in the dynamic workshops, which culminate with the creation of a video by the students and Amics de la Terra.